A decade after its accession to the European Union, the first Bulgarian rotating Presidency of the Council of the EU has started. Future of Europe and young people; Western Balkans; security and stability; digital economy: those are the priorities of Bulgaria’s presidency lasting from the first of January until 30 of June 2018. And during this crucial semester, the southeastern Europe country has one key goal: to demonstrate other members States that after 10 years in the EU it is finally ready to join the visa-free Schengen travel area and move towards entering the eurozone. Also in order to join Schengen area, Bulgaria wants to give a strong message related to its efforts to ensure security and provide border controls, also during the emergency. This message has been confirmed by Bulgarian prime minister Bojko Borisov and security appears to be a strong part of Bulgaria’s presidency: hopefully Sofia could emerge to be the right member State to repair the break on migration policy between Southern countries of the EU and Visegrad 4 (Poland, Hungary, Slovakia, Czech Republic). The slogan under which Sofia’s presidency has started is “United We Stand Strong” and more than 300 events are due to take place in the Bulgarian semester. “Your place is in Europe. And your place is in Schengen. And your place is in the euro. We will work for that. The Commission will be by Bulgaria’s side: united we stand strong and united we will stand”, with those words the President of the EU Commission, Jean Calude Jucker, addressed the from Sofia the opening ceremony of the Bulgarian presidency on 11th of January. A strong focus is set to be given to the Western Balkans integration in the EU, with the key day scheduled for 17th of May in Sofia for an historic summit for the countries of the regions. The ambition of the Bulgarian Presidency is to achieve a clear action plan, with each of the countries, without creating unrealistic expectations, but with concrete steps 15 year the framework envisaged in 2003 during Thessaloniki Summit. And the key goal in 2018 is to provide connectivity to the Western Balkan countries: transport, air, energy, educational and digital. Bulgaria’s presidency of the Council of the EU comes at a time when the European economy is speeding up, with more jobs being created and investment is growing. But on the other hand still, there are some challenges, as high levels of debt and small increase in salaries. And Bulgaria has resulted to be, during the first decade as EU members States, at the very bottom of the Union countries when it comes to salaries and other aspects related to life stiles. Now, through its presidency Bulgaria wants to change this perception, boosting the signals of economic growth in the country by following the good performance of other eastern EU members States. Actually the salaries in Bulgaria are growing very fast, between 8-10% increase per year. In 2017 the highest average salary was registered in Denmark (3.095 Euro),while at the bottom end Bulgaria and Romania takes the latest places with average salary in EU, (406 euro and 515 euro respectively). But in 2017 the gap between richest (Denmark) and poorest (Bulgaria) is 7.6, which actually is shrinking, as in 2016 the gap between Luxembourg (firs in 2016) and Bulgaria was more than 8 times. However, Bulgarian average salaries remain low compared to other EU countries and there is still much more work to do. Eurostat statistics also show that Bulgarians’ incomes are the lowest in the EU, but that wages in the country are rising most rapidly in the last 20 years. Construction sector in Bulgaria has returned to be a strong driver for development: after a collapse during the economic crisis in 2009, thanks to EU funds the sector is already growing. And this means that construction companies will open new jobs, and competition for staff will lead to wage increases. Last but not least Bulgarian priority is the digital economy, a sector where Sofia could rely on the work of the EU Commissioner for Digital Economy and Society, Mariya Gabriel. The Bulgarian EU Commissioner already attended some days ago to the first event of the official calendar of the Bulgarian Presidency of the Council of the EU: over 300 children from different Bulgarian regions aged between 7 and 13 took part at the event in National Palace of Culture in Sofia. In her address Gabriel pointed out that Bulgarian Presidency of the Council of the European Union will be successful due to the young people as well. “One of the main priorities of the Bulgarian Presidency of the Council of the European Union is linked with the digital transformation of the economy and this is inevitable if children are taught at an early age to work with the digital technologies and have digital literacy”, stressed Bulgaria’s Deputy Premier and Minister for the Bulgarian Presidency of the Council of the EU Lilyana Pavlova. 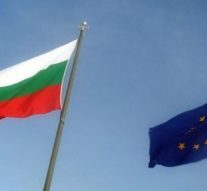 Bulgaria, as a young member States, seems to have the fresh energies strongly needed to definitively reintroduce the EU as an effective project in the region.